Montréal is the largest city in the province of Québec and the ninth largest in North America. Predominantly French speaking, Montreal is the second largest primarily French speaking city in the world, after Paris. The city is located on the Island of Montreal, which took its name from the same source as the city, in the Saint Lawrence River. Montreal winters bring cold, snowy, windy, and, at times, icy weather, with a daily average ranging from −9° to −10.5° Celsius (16° to 13° Fahrenheit) in January. Typically, snow covering some or all bare ground lasts from the first or second week of December until the last week of March on average. With the severity of those winters, more and more homeowners are adding radiant heat when remodeling, particularly in their kitchens and bathrooms. Radiant heat is a great addition to any room in the home including bedrooms, home offices, and finished basements. This Montreal homeowner decided to update her kitchen with beautiful floating wood flooring. Since the winters are long and the flooring would be cold underfoot, it made sense to add in-floor heating to her remodeling project (refer to floor plan). So, she purchased a WarmlyYours Environ Flex Roll for approximately $500 to keep her kitchen warm and cozy during the frigid winter months. The 1.5- by 40-foot Flex Roll covers 60 square feet of floor space and cost $540.00, which amounts to just $9.00 per square foot. The Environ™ Flex Roll allowed the installer the flexibility to cut and turn the roll to effectively fill the floor space with warm radiant heat. 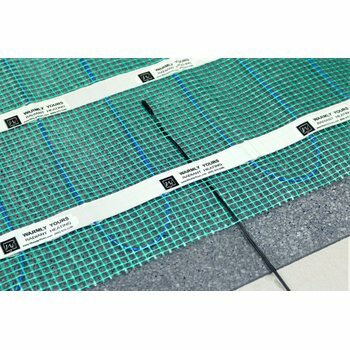 The radiant heating system is also very economical to operate. According to WarmlyYours’ Energy Use Calculator, which factors in the average kWh cost in Montreal, it only costs 20 cents a day to heat this kitchen for eight hours every day. Using WarmlyYours’ Heat Loss Calculator, the highest monthly electric bill for this room would amount to only $20.79 during the coldest month of the year. And, annually, that comes out to $107.71. A small price to pay for the additional comfort it’s added to one of the most used rooms in the home. The best place to get started with your project is to check out WarmlyYours’ Instant Quote tool. It will figure out precisely how much it would cost to add radiant in-floor heating to your kitchen. Just type in your project information and the tool will show you the recommended products for your room along with how much they will cost. The tool also gives you the added option of a custom installation plan by simply uploading a floor plan of your room. This plan offers more detail than the Instant Quote, illustrating exactly how the floor-heating system should be laid out for optimal performance including the electrical plan. This detailed information makes installation even easier, allowing our technical experts to better guide you through the installation process. Plus, the tool can quote you on more than just in-floor heating. 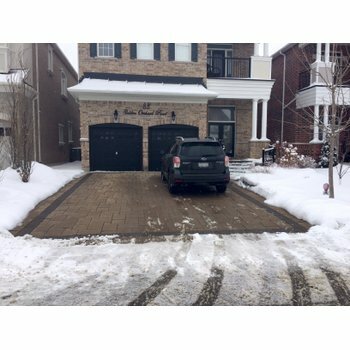 With an average annual snowfall of 210 cm (82.5 inches) according to CurrentResults.com, Montreal homeowners may want to consider installing a snow-melting system to save them the backbreaking labor of shoveling or plowing snow from their driveways, walkways and patios. 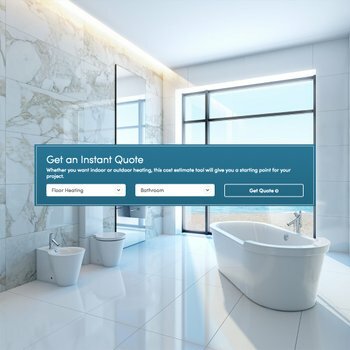 Just like it does with floor heating, the Instant Quote tool can provide product recommendations and their costs for snow-melting applications. There’s no need to wonder exactly how much it would cost to add heated floors or a heated driveway to your home. Find out on www.warmlyyours.com! If you have any questions during installation, you can reach our knowledgeable technical support team at your convenience 24 hours a day, 7 days a week at 800-875-5285. How Much Does It Cost to Heat These Kansas City Bathroom Floors? What Does it Cost to Heat Up These Cold Chicago Kitchen Floors?